This was a delightful and popular family event at which the Choir was well represented with a colourful and attractive stall. 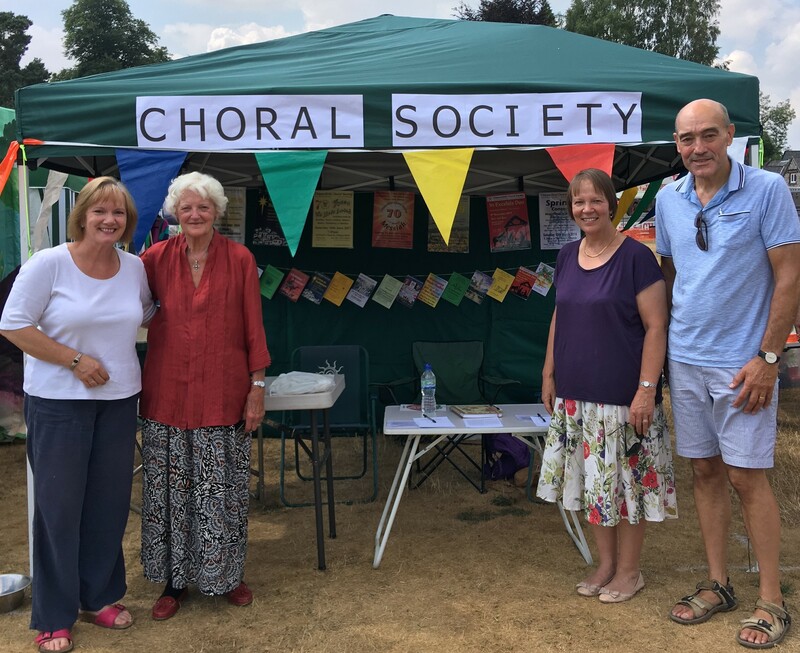 Anne Wyburd reports- I initiated the project of having a Choral Society stand at the Village Day and John Morrish took over a lot of the organisation. We had a very good day. John Walker brought his gazebo and we decorated it with posters and programmes. John M and I devised a quiz and 20 people took part. Three got all ten questions right and we chose one out of a hat for the prize (two tickets to the Christmas concert). Name two famous composers born in 1685. In what Suffolk town did Benjamin Britten live? Where are the annual Proms concerts held? Who wrote the opera Carmen? By what name is Brahms’s Requiem known? In which Mozart opera does the Queen of the Night appear? How many symphonies did Haydn write? a) over 100 or b) under 100.
Who wrote the music for Cats? 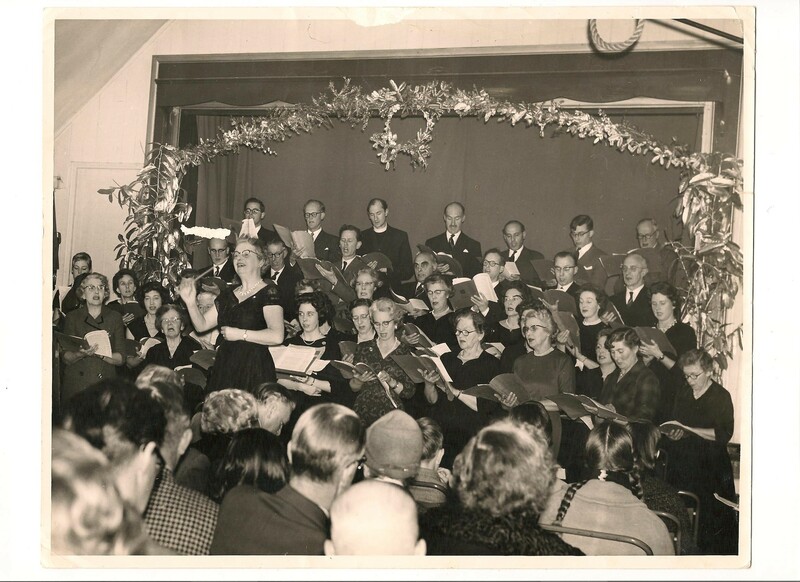 We found this old photograph which dates back to 1960 with Joyce leading a much smaller group in the Village Hall than we are today! See if you can recognise any of the members and please let us know who they are!